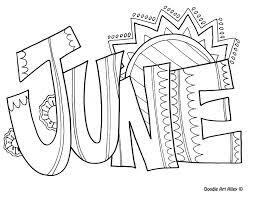 Click here to view June events. Collectively the Growing Tree staff we would like you to know that we are much obliged for all the appreciation you showered on us during Teacher Appreciation week." Thank You Kindly"
Growing Tree's final board meeting for fiscal year 2018 will be held on June 13th. We will then recess for the summer and resume meetings in September. If you expressed interest in serving on the Board please plan on joining us in September. Swimmin lessons begin on Monday, June 18th. Please see roster at the top of the newsletter for lesson times. We have added a donate button to our website and facebook page. Feel free to pass it along or use it yourself. Growing Tree in partnership with Healthy Beginnings is providing a free developmental screening focusing on Hearing, Vision, Behavior, and Development. If you are interested please check in with us. Once we establish an interest we will move forward with setting a date the necessary paperwork. The screening will take place at Growing Tree during regular business hours. For more information see attached flier at top of the newsletter. I am looking for a group ov volunteers to paint the big playsructure one weekend. It is already sanded and prepped to go. See Tammy if interested. This project is worth 10 volunteer hours. Growing Tree's Annual Family BBQ & Graduation will be held on Wednesday July 25th at Larkspur Park. Every Growing Tree family is invited to share in the food, fun, & games. We will end the evening by recognizing our Blossoms as they move off to kindergarten. You do not need to bring anything other than your family and a picnic blanket. We've got the food and fun covered. Volunteer hours are not prorated in the event you withdraw from the Center prior to December 31st. When you are shopping for those holiday gifts online, please remember our AmazonSmile program! AmazonSmile is a simple and automatic way for you to support Growing Tree every time you shop, at no cost to you. You will find the exact same prices, selection and convenient shopping experience as amazon.com, with the added bonus that Amazon will donate a portion of the purchase price to Growing Tree! Head to smile.amazon.com to get started. The Board of Directors next meeting will be on Wednesday June 13th. First Friday will be held on Friday, June 1st Cost is $20 per child. In July First Friday will be on July 6th. Please pay prior to Friday night, so that we may pay the teachers in a timely manner. Just a reminder, if you cancel after signing up, you will still be responsible for First Friday fees.